What do I do next? Can I afford college? Do I even want to go to college? Can I get a job with my Associate’s/Bachelor’s degree, or will I need an additional schooling? What do I even want to do with my life? And that’s the million dollar question – what DO you want to do with your life? If you haven’t figured it out, don’t fret – you’re not alone. Even some adults don’t know what they want to do when they grow up (we may look like we know what we’re doing, but that’s very far from true). Unlike us adults, you – my darling, doe-eyed, young reader – have time on your side. And although you have more time to figure things out, how you spend that time is important. The list below is numbered, but there’s no real order when it comes to researching. If you feel like you’re all over the place, you’re still doing it right because you’re doing something. The resources below can point you in the right direction regardless of where you’re at. 1. Find out who you are. Not all of us had a “calling” since birth, or even know what our dream job would look like. So take some time to explore your interests. Volunteer. Take career aptitude tests to see what you’re good at. If you put time into learning your interests, strengths, and values, you’re already ahead of a lot of people. O*Net Career Exploration and MyNextMove.org: O*Net is a wonderful, free resource for all things career. Sokanu: Find your ideal career. CollegeDegrees.com: Free aptitude tests for college grads. Accuconference.com: A huge list of interest, aptitude/skill, and personality tests. YourFreeCareerTest: Free 3-minute test, no registration required. Volunteer.gov and tips for volunteering. RileyGuide.com: Information on internships, apprenticeships, and volunteering resources. VolunteerMatch.org: Find local volunteer opportunities based on your interests. Volunteer databases and more on TeenLife.com. GoAbroad.com: For those interested in studying, volunteering, or interning abroad. 2. Make a 5-year plan. A lot of students think that going to college or getting a job is enough – they don’t need to plan for their futures until later. But what will you do when later becomes now? When you plan ahead, you start envisioning your ideal future. And when you set and accomplish goals along the way, your ideal future becomes your reality. WikiHow: Easy steps to get you started. “High School Seniors: Preparing for Your Next Step After High School”: An article with lots of resources by former college professor Randall S. Hansen, Ph.D.
Big Future: Map out a step-by-step roadmap to college. Big Future for Majors: Find majors based on your interests. Mapping Your Future: Free entrance and exit counseling, preparing for college, financial aid, and more. “Next Step After High School? Some Alternatives to College”: An article by former college professor Randall S. Hansen, Ph.D.
“So You’ve Graduated College… What’s Next for You? Eight Critical Issues Facing New Grads”: An article with lots of additional resources by former college professor Randall S. Hansen, Ph.D.
“Developing a Strategic Vision for Your Career Plan”: Yet another great article by Randall S. Hansen, Ph.D.
Life after College: Article collection from Huffington Post. College students face a tough choice: An opinion about graduate school. Reasons to Wait: Questions to consider before pursuing graduate school. Create a 5-year-plan Pinterest board for visual inspiration. 3. Get to work on your plan. After you’ve envisioned where you want to be in the future, you need to get to work on your goals. Below are some websites and books to help you get started on implementing your plan. The National Association of College Admissions Counselors : A great place to start. Includes financial planning resources. How to Compare Financial Aid Offers and What Different Types of Aid Mean: AcceptedToCollege.com. Financial Planning: for college students from 360FinancialLiteracy.org. How to pay for college from FastWeb.com. The Best Budgeting Calculators for College Students: Mint.com. Learning Express Library: Centers include Adult Learning, Careers, High School Equivalency, College Preparation, College Center, School Center, Computer Skills and more. Create account while visiting the library or call (615) 595-1243 to have a librarian set up an account for you. High School Resume Examples and Writing Tips: About.com Careers. The Resume Workbook for High School Students: A bit old (from 2001), but has a great fill-in-the-blank layout to get you started, plus other tips. Career Transitions: A library database – Write a resume, cover letter, tips and advice, interview simulations. Login = library account number. High School Financial Planning Program: Free online courses for personal finance skills. Financial Literacy for High School Students: Lesson plans for teachers and students covering life skills, consumer awareness, and financial management. Includes free worksheets. MyFirstApartment.com: An entire website dedicated to first apartments. Internet Sites for Career Planning: A long list compiled by the National Career Development Association. 50 Resources for College Graduates: Life after college blog. AfterCollege.com: Explore careers based on your college major. Resume Writing for the Recent College Graduate: A step-by-step PowerPoint presentation from Rollins College. Whew! That’s a lot of resources. Figuring out your life’s path and working towards your goals is definitely overwhelming – but if you take time to find out who you are, make a plan, and work hard on it, you can be sure you’re on the right path – your own. Click image to go to our Awesome Box website! Have you ever read or watched something from the library that you absolutely LOVED and wanted to tell everyone about? Well now you can! Next time you check out something awesome from the library, return it to our Awesome Box. From there, we’ll spread the word that it is awesome! What is an Awesome Box? An Awesome Box is a book drop for library items you think are awesome! It’s just like a regular book drop. But instead of putting items back on the shelf after you return them, we make a note of what you put in the Awesome Box and share it with everyone so they can know it’s is awesome, too! What kinds of things should I put in the Awesome Box? Any library materials including books, DVD’s, or Audiobooks you find awesome. They can be helpful, mind-blowing, your all-time favorites, etc. Whatever you think other people would enjoy knowing about. Basically, if it was fantastic, helpful, amazing, valuable, entertaining, or just all-around awesome, put it in, so that everyone knows how good it was. Does putting items in the Awesome Box actually return them? Where can I see what people have put in the Awesome Box? You’ll find what people have “Recently Awesomed” on our Awesome Box bulletin board just inside the Main Library’s entrance. For a full list of what has been “Awesomed” in the past 30 days at our library, visit this website from our homepage: https://wcpltn.libib.com/i/recently-awesomed. You’ll also find links to everything that our patron’s have declared Awesome, including movies and Awesome books for adults, teens, and kids. So the next time you’re returning something, remember: the awesome things go in the Awesome Box! Native American Heritage Month (also known as “National American Indian Heritage Month” and “National American Indian and Alaska Native Heritage Month”) hasn’t been around for very long. Although Native Americans have resided on the continent for approximately 12,000 years, it wasn’t until November 1990 that President George H. W. Bush declared November to be “National American Indian Heritage Month”. Many of us are not exposed to Native American culture and do not know much about Native people, their way of life, and the issues they face. In order to honor this month, I’ve compiled some facts and figures, as well as answers to questions some of us may have about Native Americans and their culture. This list is far from complete, and I encourage you to discover what you’ve always wanted to learn about Native people and their history. Below you will also find ways to celebrate Native American Heritage Month for yourself, plus Fiction and Non-Fiction books from Native American authors – and a few movies, too. All titles are available at our library, so get to celebrating! 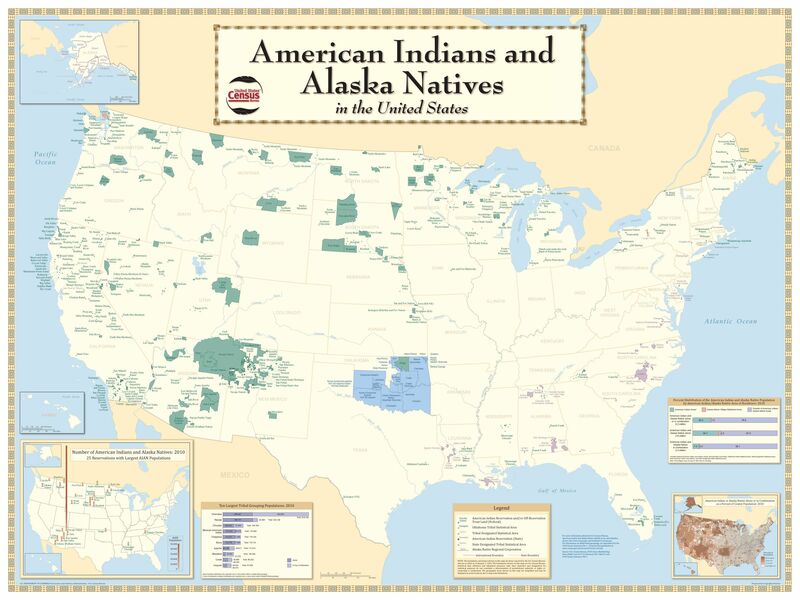 Population: American Indians and Alaska Natives made up 2% of the US population (5.4 million people), including those that are more than one race. Race: Of the 5.4 million, only 48% are fully American Indian or Alaska Natives. The other 52% are American Indian or Alaska Natives in combination with at least one other race. Reservations and Tribes: As of 2015 there were 326 federally recognized American Indian reservations and 566 federally recognized American Indian tribes. Income: The median income for single-race Native American and Alaska Native households was $37,227 (compared to $53,657 for the United States as a whole). Poverty: Single-race Native Americans and Alaska Natives had a poverty rate of 28.3%, the highest rate of any race group in America. Higher Education: 13.9% of single-race Native Americans and Alaska Natives, ages 25 and over, had a bachelor’s, graduate, or professional degree. Language: 26.8% of single-race Native Americans and Alaska Natives ages 5 and older spoke a language other than English at home. Are all Native Americans considered US citizens? In 1924, all Native Americans who were born in the US were granted citizenship, although not all states allowed them to vote until 1957. Do all Native Americans live on reservations? According to the 2010 census, only 22% of the country’s 5.2 million Native Americans live on tribal lands. Many Natives have left reservations seeking jobs and higher education. Do any Native Americans still live on their original tribal land? There are some reservations that are located on a tribe’s original land, while others were created by the Federal government for the tribes forced from their land. Do tribes make their own laws, or live under the laws of the US? Federally recognized tribes have a sovereign, government-to-government relationship with the United States. They legally govern themselves aside from some restrictions from Congress, federal courts, and treaties with the U.S. They are able to form their own governments, make and enforce laws, tax, provide licenses and regulate activities, and more. They are unable to print their own currency, start wars, or take part in foreign relations. What is life like on a reservation? Living on a reservation has been compared by some to living in a Third World country. For many there are few jobs, a lack of employment opportunity, and inadequate and substandard housing including a lack of running water, phones, and electricity. Can anyone visit a reservation? All reservations have their own laws and therefore different policies on visiting. Make sure to contact the proper tribe to ask about their policy and be aware of etiquette if given permission to visit. Here is a link to the Tribal Leaders Directory that provides contact information for each tribe. Here is a link to some tips on visiting a reservation. Do Native Americans still speak their tribe’s language? Before European influence, it is estimated that there were over 100,000 different Native languages. Today, over 70% of Native Americans say they only speak English at home. Navajo is the most-spoken Native language, at 150,000 people. What is the history behind Native American names? This is a fascinating topic that cannot be fully represented by a short answer. The brief version is that many Native Americans have a complex naming tradition. Their names are said to speak to an individual’s personality and even change over the course of their lives. What was the Native American population before 1492? No one knows for sure. Not many population records were kept at all during that time period. All scientists have to go on are historical writings, and even then they can only guess. At the low end, anthropologist Alfred Kroeber estimated 8.4 million. At the high end, anthropologist Henry Dobyn estimated 112.5 million. What almost everyone can agree on is that the Native population decreased significantly after 1492. In 2015, Huffington Post published an article that interviewed the ancestors of the Mashpee Wampanoag tribe, the first tribe to make contact with the Massachusetts Pilgrims of 1620. This is a quote from their current tribal president and chairman on how he celebrates the holiday: “We are Americans as well, and so even today, I sit down at Thanksgiving with family.” He goes on to note that Thanksgiving is equally a time to reflect on the tragedies they suffered then and ones they continue to suffer today. So while many consider it a day to give thanks, it is also seen as a national day of mourning. What are some current issues facing Native Americans today? The Dakota Access Pipeline has been in the news recently. The construction of the pipeline near the Standing Rock Sioux reservation may potentially threaten their water supply. The Sioux also say the pipeline would disrupt sacred land. Click here for a Smithsonian article about the current controversy, and here to visit the Standing Rock Sioux website. How can I find out if I have Native American ancestors? If you believe you may have Native American ancestry, here is a guide provided by the Office of Public Affairs – Indian Affairs on how to begin genealogical research as well as tribal enrollment information. Visit us at the Williamson County Public Library to get free access to Ancestry.com with your library card. How can I participate in Native American Heritage Month? Click here for some creative ideas on how to celebrate. Read a book or watch a movie – all available @WCPL! Click here for audio and video resources from the Library of Congress, Smithsonian, and more. It is impossible to accurately represent an entire people in a single blog while retaining the real essence, beauty, and complexity of their culture. I urge everyone who is interested in any aspect of Native American life to read more, learn more, and attempt to truly understand the lives and history of America’s Native people. It’s the evening before Halloween, October 30th, 1938, a Sunday. If you were alive on that particular Sunday in 1938 and were fortunate enough to have a radio set, you’d probably be gathered around listening to either one radio channel or the other; there were only two. You’d have taken your pick between a light comedy series or a dramatic play. Perhaps you tuned in to the play a little late at 8:12pm, switching channels after the comedy musings of ventriloquist Edgar Bergen ended, and missed the broadcaster’s announcement that the program you were about to hear was a fictional play put on by Orson Welles and the Mercury Theatre. Orson Welles, age 23 at the time, was an unknown actor and writer who had been on the radio for several years as the voice of “The Shadow”, a popular mystery program. Later, some would speculate that the Halloween Eve broadcast is what launched Welles’ career out of obscurity and into a Hollywood studio where he would produce, co-write, direct, and star in what many call the greatest American film ever made, Citizen Kane. But for now, Welles is still an obscure voice actor, standing in front of a microphone with his other actors and sound effects men, on the verge of terrifying a nation. Back in reality, the news of a Martian invasion was spreading through telephones and streets. Weeping, frantic women called police stations, cars packed full of children and luggage clogged the roads. An Indianapolis woman barged into a church service, screaming, “New York destroyed; it’s the end of the world. You might as well go home to die. I just heard it on the radio.” And on the radio, the Martians kept coming. New ships were spotted in the air and discovered on land while the gas explosions on Mars continued. With the announcer dead, it was time for intermission. If you weren’t already shouting warnings in the streets, moving your living room furniture in preparation for an alien ambush, running on foot to a nearby park, preparing to poison yourself, rushing to your nearest church for some last-minute saving, or flooding radio and police stations with questions about evacuation procedures (all of which really happened), and were still listening to your radio, this intermission may have assured you that the hysteria was all fiction. But the reaction was so overwhelming that the Associated Press sent out a news bulletin at 8:48 PM informing everyone that this was “a studio dramatization”. As soon as news of the hysteria reached Orson Welles in the studio, he was said to have broken character and to also reassure listeners that this was a fictional event. After the public had been informed that the play was intended for nothing more than Halloween entertainment, people were infuriated. Some speculated that Orson Welles was trying to create hysteria, but his reaction suggests otherwise. In his own words he was “just stunned” by the audience’s panic, stating, “Everything seems like a dream”. Thomas Doherty, Professor of American studies, considers the event to be “… among the top five mass-communications events in history — along with the Kennedy assassination, Pearl Harbor, 9/11 and the Lindbergh baby kidnapping.” We may overlook this mass-communication event because in this case, there was no event. Panic was created by smoke, mirrors, and what this author assumes to be the most talented voice actors and sound effects men of all time. In order to understand the reaction, Doherty reminds us to first understand the audience. The people of 1938 were anticipating a German invasion. They were becoming uncomfortably familiar with the sound of breaking news broadcasts, which the Mercury Theater duplicated in detail, including reporters fumbling over words, crackling static, and the buzzes of short-wave radio. NaNoWriMo. It’s pronounced exactly how it looks – weird. So, what is it? Aspiring writers, fasten your pen caps; this just might be the nudge you need to finish the novel you haven’t even started yet. NaNoWriMo stands for “National Novel Writing Month”. That’s right, MONTH. Participants have 30 days to begin and complete a novel of at least 50,000 words. Writing starts November 1st and ends at 11:59 PM on November 30th. “We had taken the cloistered, agonized novel-writing process and transformed it into something that was half literary marathon and half block party. Anyone who has ever thought about writing a novel is encouraged to do so, novices and novelists alike. And even if you don’t reach the goal of 50,000 words, you’ll have at least jumpstarted your writing project! The official NaNoWriMo website allows anyone older than 13 to participate. Teens ages 13 to 17 can participate in their Young Writers Program. (Click here for their website). Go to http://nanowrimo.org/ and create your profile. Find an organization near you that will be hosting NaNoWriMo events (yes, Williamson County Library is one of them!). Writing alongside other NaNoWriMo authors gives you inspiration and an uninterrupted timeslot to crank out those beautiful words! Also, there could be free coffee. Start writing your novel! Writing officially begins on November 1st, but if you have something you’ve already outlined or started to write, there are no rules against continuing your work. And after I write my novel? As of November 20th participants can paste their novel to the official NaNoWriMo website. You’ll have the satisfaction of knowing you completed your 50,000 words and you may win some prizes along the way! The NaNoWriMo Non-Profit organization also supports the process of revision and publishing. Previous writers have gone on to publish their novels themselves or traditionally. Famous NaNoWriMo novels include: Water for Elephants by Sara Gruen, The Night Circus by Erin Morgenstern, Fangirl by Rainbow Rowell, Wool by Hugh Howey, The Darwin Elevator by Jason M. Hough, and Cinder, Scarlet, and Cress by Marissa Meyer. Even if you don’t produce an instant bestseller, you’ll still have written your very own novel in one month! So sign up, start writing, and don’t forget to join us at the Williamson County Library for our local NaNoWriMo events! Remember that New Year’s resolution to become healthier? Yeah, me neither. I vividly remember the cold and the layer of blankets that were breached to either turn a book page or re-heat my coffee. Now that summer’s here, it’s the perfect time to get out, get active, and revisit the journey to better health! Getting healthier for those of us on a budget is no easy task, which is why it’s important to get the right support from affordable resources. Check out the links below that will help you feel your best this summer season, including quitting tobacco, nutritional tips, and getting active on a budget. Need help quitting tobacco use for good? The Tennessee Tobacco QuitLine provides personalized support for Tennesseans who want to quit smoking or chewing tobacco completely free of charge. Call 1-800-QUIT-NOW (1-800-784-8669) and for the hearing-impaired call, 1-877-559-3816. Looking for information about how to make good nutritional and exercise choices? Get Fit Tennessee provides useful information to help Tennesseans stay active and eat healthfully on a budget. Included are a cookbook with low-calorie, low-cost recipes, a daily online food journal and a calorie calculator, which help users keep eating habits on track. The Health & Fitness Tracker helps you keep log your physical activities and monitor your progress. Summer is also a great time for activities (so many activities! ), but it can be hard finding fun things to do, especially on a budget. If you’re having a “I don’t know, what do YOU want to do today?” moment, below are a few links for singles, families, and kids that will get your summer going! Try a trip to one of the many beautiful Tennessee state parks or entertain your kids on those rainy days with some free books and book activity ideas! Check out the low cost getaways and free day trips from Tennessee State Parks. You can start by looking at their schedule of upcoming events for all ages, or browse their handy Things to Do page for fun activities including biking, birding, camping, hiking, waterfalls, and more! All Tennessee children under age 5 are eligible to receive Imagination Library books through the Governor’s Books from Birth Foundation. The program provides one book per month from birth to the child’s fifth birthday at no cost to the family and regardless of income. For information on how to register a child, call toll-free 1-877-99-BOOKS, or send an e-mail to info@governorsfoundation.org. Need reading tips and book-specific activities for kids? Find reading tips and book-specific reading activities for babies, toddlers and preschoolers to extend the benefits of the books in the Imagination Library beyond the printed page. All of these resources are a great way to get you started towards better health and a fun-filled summer. If you’re looking for even more free ideas, there are always events going on for all ages right here at your local library! Check out our website’s calendar for the latest info. Take advantage of the library’s free database: Oxford Reference Online. Tools to Refine Your Search: Narrow your search/browse results with a multitude of subject or reference type filters and select “Book” or “Entry” to see your results displayed in your preferred format. Choose to see “Full Text Results Only” by checking the box on the search results page. Options for Customization: Keep your research organized by saving your research journey, favorite titles, and entries in your “Personal Profile,” located in the top right-hand corner. Historic Timelines: 270 historic timelines organized by time period, area, and theme, with each event linked to a free entry in Oxford Reference. 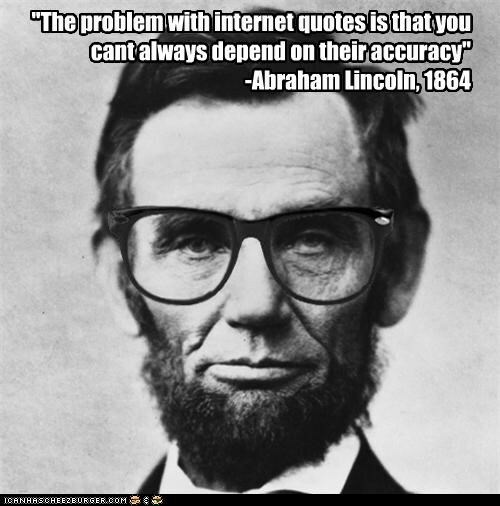 Essential Quotations: Oxford Essential Quotations is always unlocked and accessible to global users. Subject Overviews: Over 300,000 pages defining each unique term in Oxford Reference offer a start to your research journey, with links to related entries. If you’re conducting a research project, planning a school lesson, or even browsing around to learn something new, do it for free – with confidence – anywhere, anytime – with Oxford Reference Online. For questions, call the Main Library’s reference desk at 615-595-1243 or stop by and visit us!